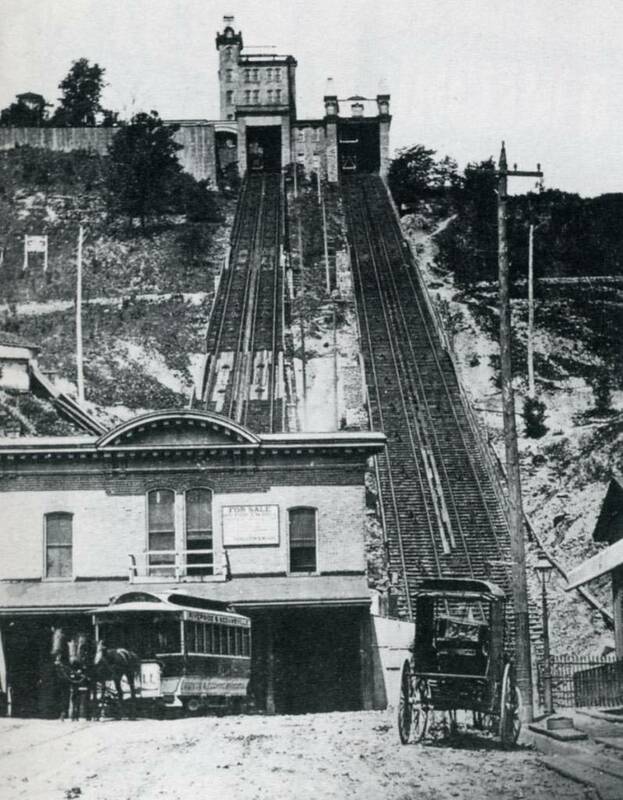 Webster’s Third International Dictionary defines an incline railway as one built on a slope in which cars raised and lowered by means of a wire rope or cable. Most tourists, or visitors to Southern California, are surprised to learn that Los Angeles, and the surrounding countryside, is not dead-flat. It happens to be a series of hills, peaks and valleys. 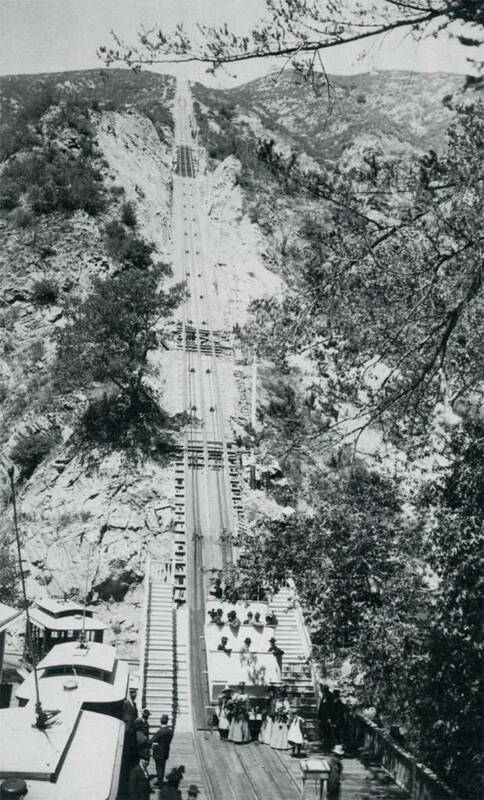 A condition that make it ideal for incline railways. 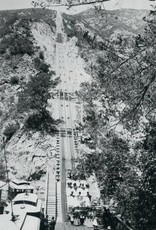 Los Angeles is fortunate to have one of the nation’s most modern, and high-tech, incline operations located at the Getty Center. 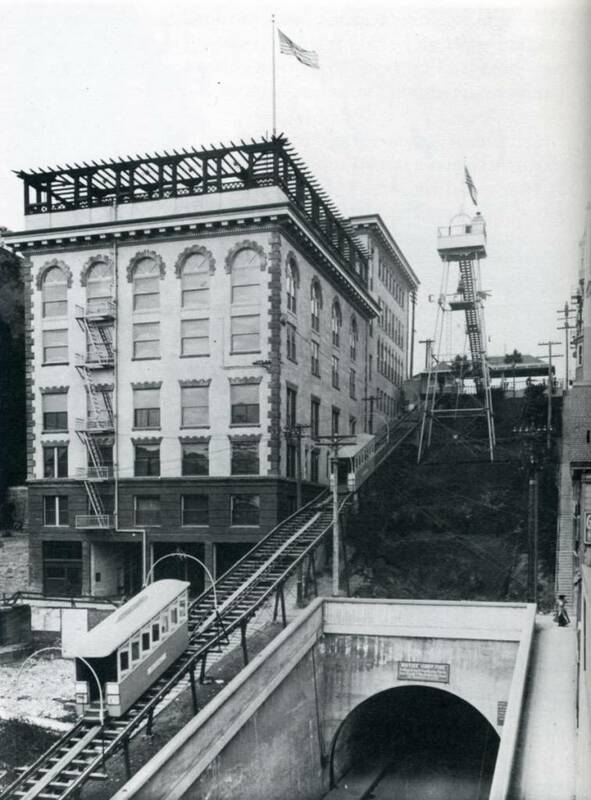 It transports 1200 passengers per hour, from an underground parking garage, to the galleries and museum on top of the hill. All inclines are not the same, nor is the track they run on. 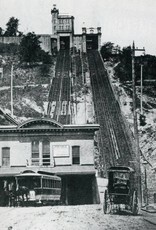 Angels Flight, the Mount Lowe Incline, and theone that ran up Mount Washington, were all two-car, three-rail systems, with a passing track in the center. 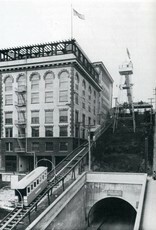 Court flight was also a two-car system, but with a separate wire rope attached to each car. So one car was independent from the other. 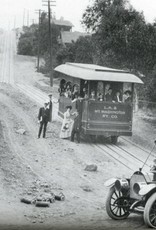 The Island Mountain Railway on Catalina Island, was a single-track system, with one car going up on one side of a mountain, while the other car went down the opposite site. 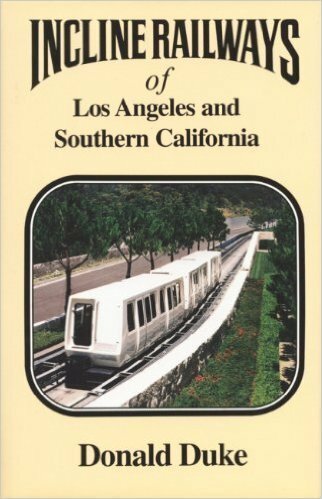 Incline Railways of Los Angeles and Southern California by Donald Duke presents for the first time a look at all these commercial or proposed inclines of the Southern California region. 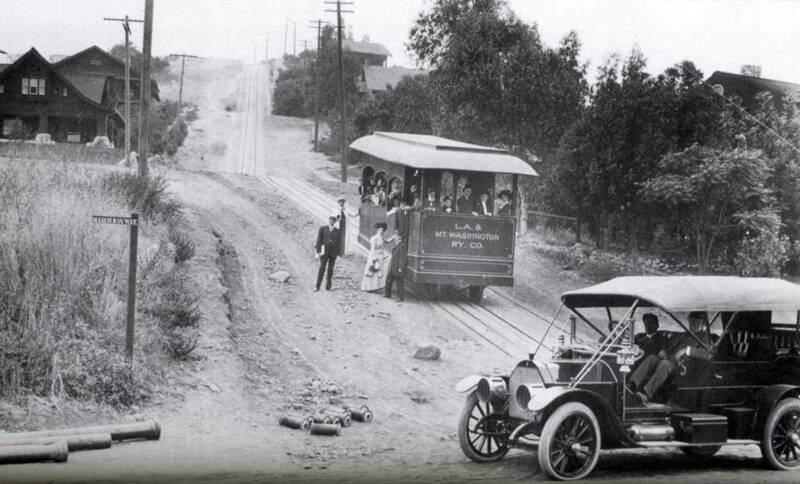 Learn which was the shortest railway in the world, and one which was nearly a mile in length. 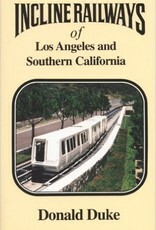 A dozen inclines are presented in this book. Learn how they came about, who built them, and why some of them were abandoned.